Flowers flowers flowers! 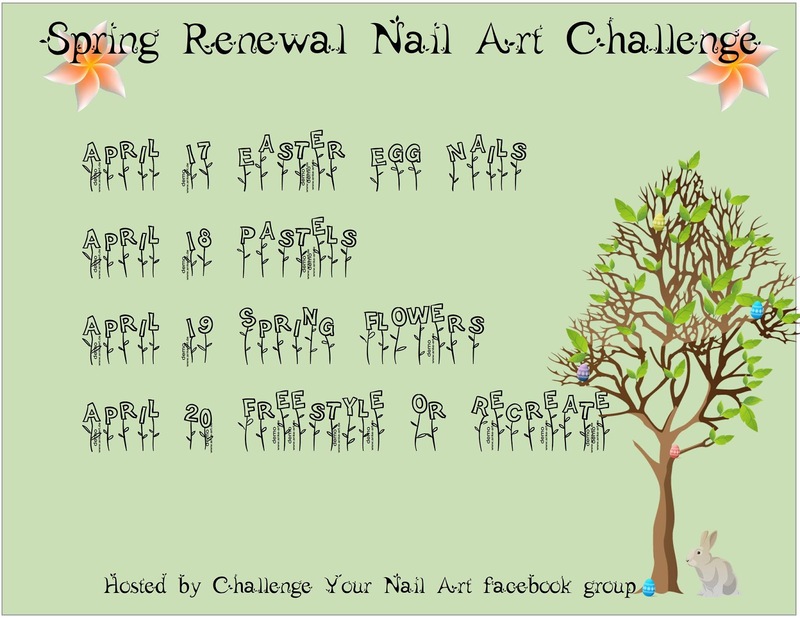 There's so many options to try when it comes to doing a flower fill in a nail art challenge... I decided to go with one I've never tried before: pansies! I was inspired by the wonderful tutorial done by The Little Canvas that I came across the other day, and I was pleased with how simple it was to put this look together. 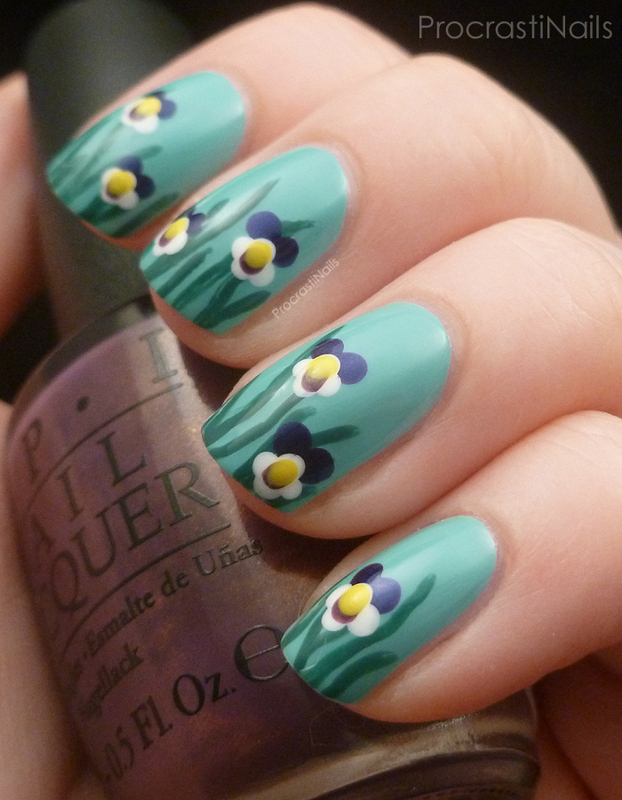 It left my nails looking bright and cheery and definitely spring-like! This look used so many polishes... The base is China Glaze For Audrey with grass made from China Glaze Exotic Encounters. 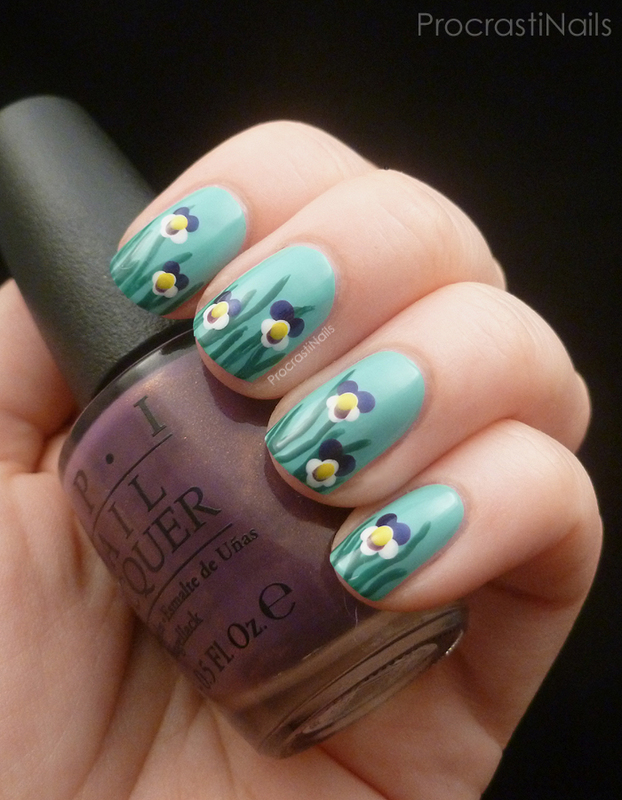 The flowers themselves were done with Sinful Colors Snow Me White (white), China Glaze Bizarre Blurple (dark purple), OPI Dutch 'Ya Just Love OPI? (lighter purple) and Rimmel London Sunny Days (yellow). What pretty flowers! 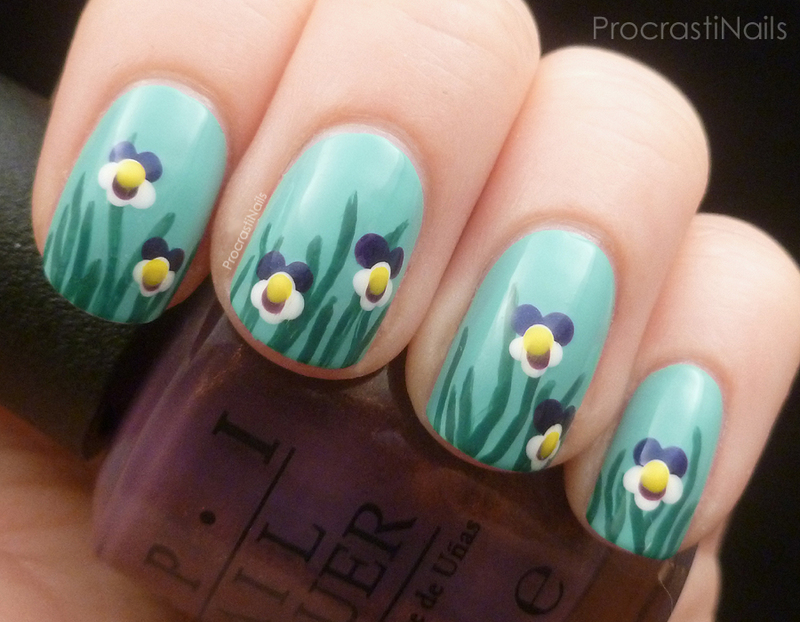 I like the grass detail too.